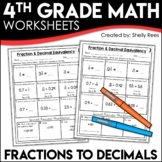 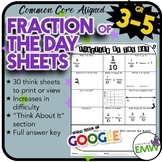 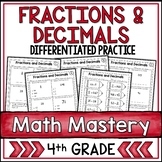 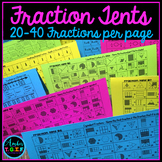 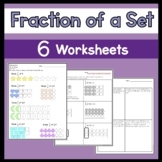 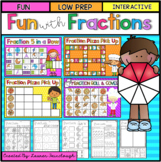 This print-and-go worksheet is perfect for reviewing and teaching fractions of a group. 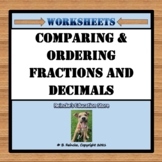 This document contains two files. 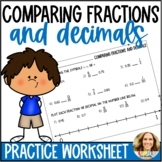 One is more basic than the other, but allow the teacher to see what students understand about the fractional amounts of a group. 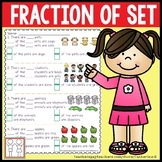 Equivalents are included as well. 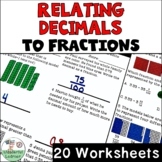 These are questions on how to find find fractions of a group. 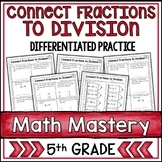 Students group bowling pins into two different sets by color and then write the corresponding fraction.